Victoria Boutenko and her family have made a contribution to raw food history with the development of their green smoothies in raw food quality and their wide-ranging knowledge. Cured of their allergies and ailments by raw food, the Boutenko family have been sharing all their expertise on green smoothies with the world for over ten years now. Many well-known raw foodists and adherents of a raw food diet, like Markus Rothkranz or Christian Opitz, know the value of green smoothies and have long since made them an integral part of their diet. The simplicity of this green vital drink, with its abundance of nutrients and vitamins, is a frequent topic in many books on raw food. You quickly lose all desire for coffee or sweet things when you start enjoying this green vital drink everyday. The excitement is easy to appreciate, because when it comes to virtually any of the measurable minerals, vitamins, trace elements and enzymes, green leaves are always the number one provider from our world of plants. And they have so much that is good and valuable for we humans. A smoothie made of young beech leaves, spinach, bananas and oranges is quite simply heavenly – both taste-wise and health-wise. The Vitamix Mixer in particular is often mentioned with praise in this connection. There is hardly a well-known raw foodist around who doesn’t have this rugged mixer in their own repertoire – or doesn’t recommend the Vitamix in their own books. 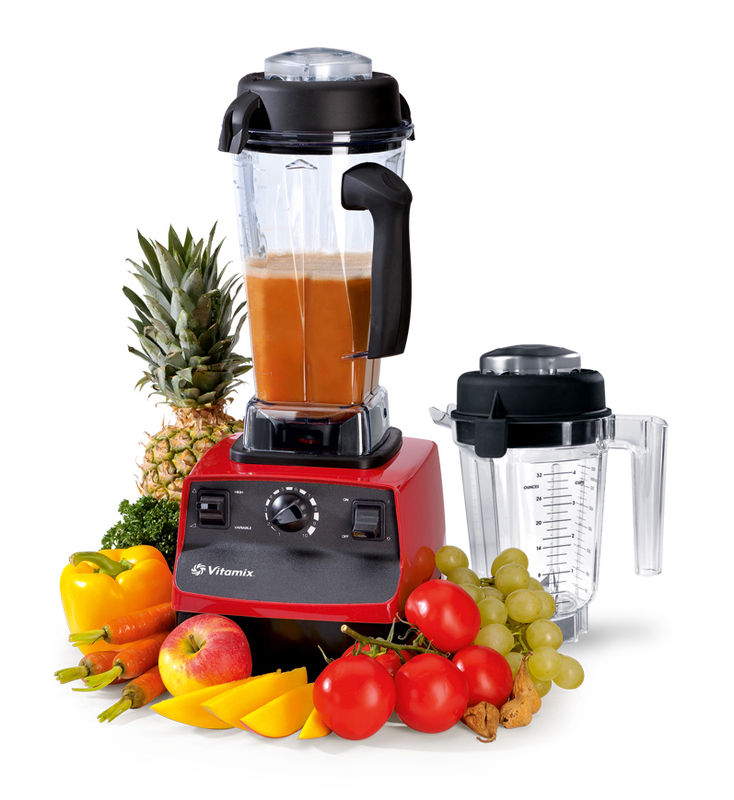 In our tests no other mixer has managed to achieve the same kind of results for preparing green smoothies. The Vitamix truly seems to be able to blend absolutely everything to perfect smoothness. Its extremely powerful cutter effortlessly reduces even very fibrous plants such as purslane, ground-elder or nettles. Everything is blended to a smooth, high-value and easily digestible plant purée, the nutrients of which can be readily absorbed and processed by the human body in this consistency. What is more, this mixer is also extremely rugged. Green smoothies work especially well in the Vitamix. It gives them a really smooth consistency. What is more, the Vitamix can be cleaned with nothing more than just running water. This entry was posted in Raw food appliances for your health. Bookmark the permalink.